Easier process to get our girls pregnant. Who wants to drive a moody in heat goat 40 minutes in a snow storm? Not I. Less chance of exposing them to parasites, or illnesses. Whatever is at the farm you take your girls to (or boy if you stud him out) will come back to your farm. 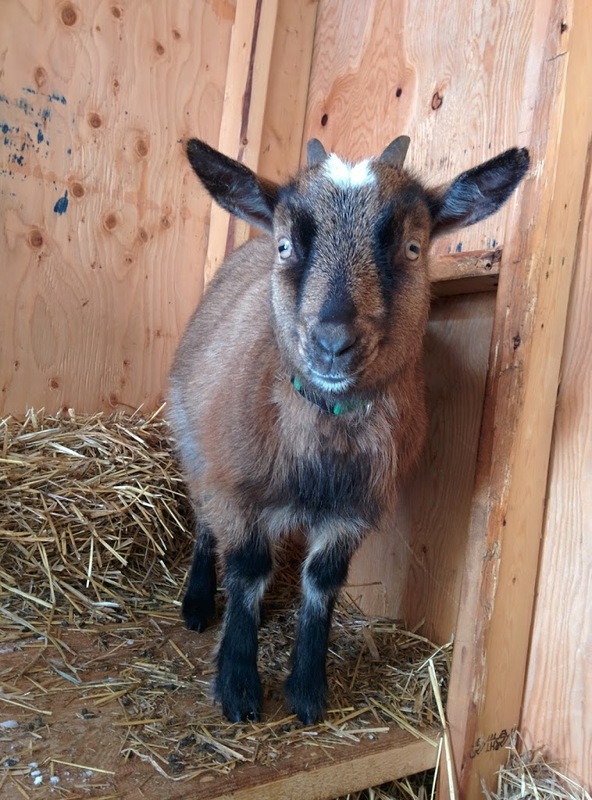 Even if the goats at that farm seem fine they could have built up an immune that your goats won’t have. We have a bit more knowledge about the buck we are breeding them to. After deciding that we did want to go ahead and buy our own buck there were more considerations. Housing. We don’t want unplanned pregnancies so the buck will have to live in his own pen away from the girls. He will need a friend. 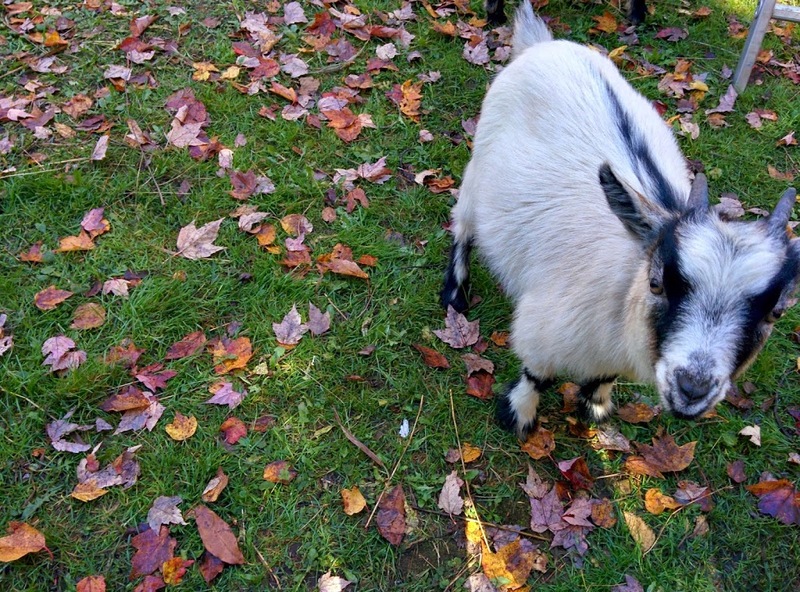 Goats are extremely social animals, they need a companion. A bored or sad buck can become an aggressive buck, and we don’t want that. Up breeding. 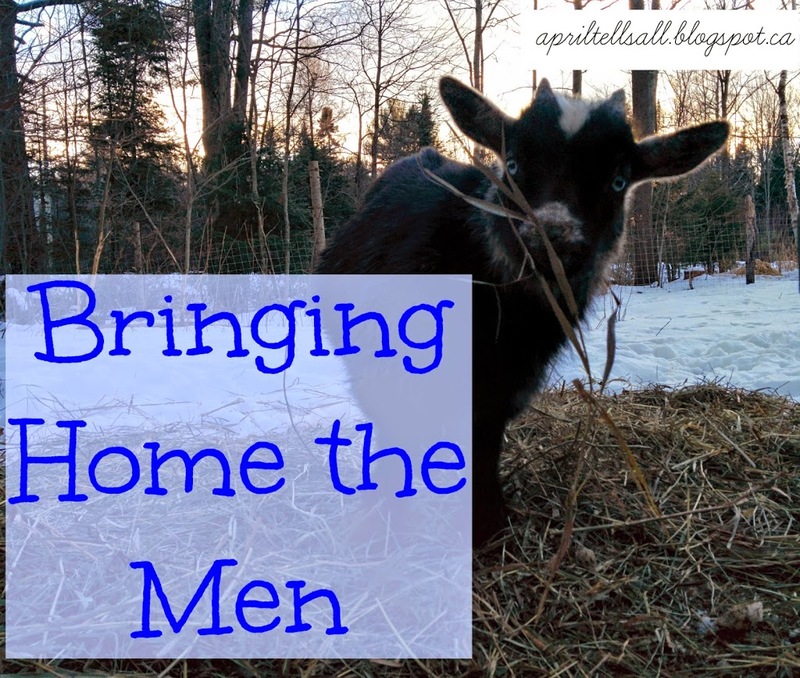 We didn’t want to just breed to any old goat. Just because a goat can breed doesn’t mean he should. There are a few “faults” in our girls that we wanted to improve on by breeding. We wanted a buck that excels in the areas that our girls are lacking in. And then there was what we wanted in the overall herd to consider. Our overall future herd goal is to raise blue eyed naturally polled Nigerian Dwarfs. (Polled = no horns.) I knew from doing all my research before getting goats that I wanted to add these features into my herd either through a buck or a doe. There was also price to consider. There’s an old saying that a buck is half your herd. This is super true! He will be half of every kid that your herd produces. A good buck is worth their weight in gold, so be sure to buy the best that you can afford. However, a good buck is not always the most expensive buck. 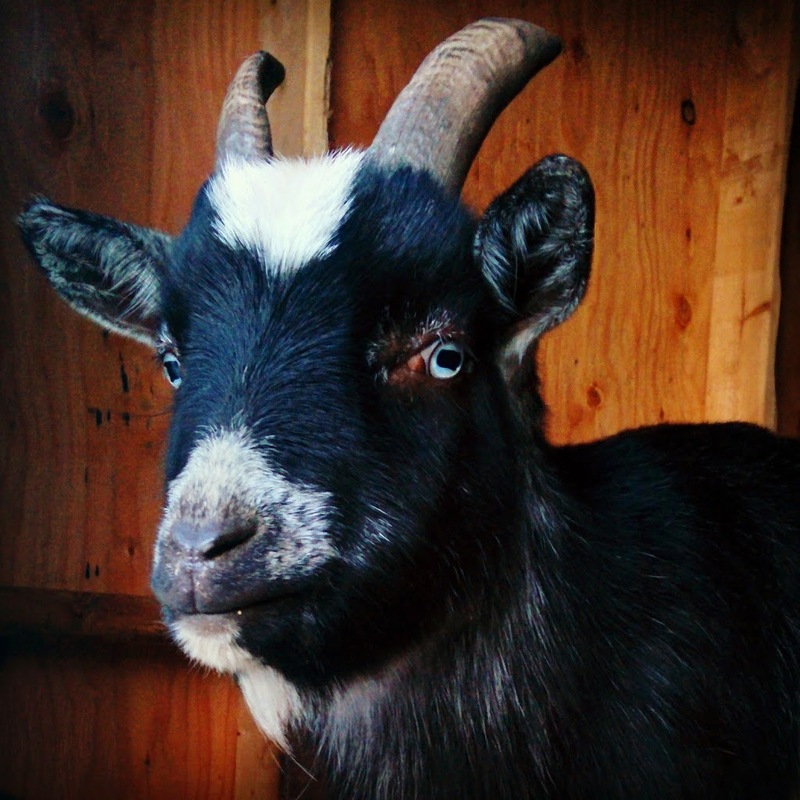 I’ve heard a lot of stories about goat breeders buying the top most expensive buck and ended up with an aggressive buck, a sterile buck, or buck that is completely uninterested in does (there is such a thing as a homosexual goat). If you plan on buying an older buck off of someone be sure to know why they are selling him. So after all that I went online to just get an idea of what was out there and general cost. We decided we only wanted one breeding buck so we would need a wether to live with him. (wether = neutered buck). We knew we needed to build another shelter for them to live in and were working on how we were going to expand next spring. (At the moment we only have one little pasture. We wanted to make at least two more so that we can rotate and always give one pasture a break to regrow.) It was while I was innocently trying to get an idea of how much we would spend, and how far we would have to drive that I came across the ad. Drat. How dare there be an ad for two perfect goats when I had no intention of buying yet. I hummed and hawed over them for a week. Hubby and I talked about every possibility (well I talked. Hubby got to the point where he was just nodding along, completely uninterested. He even got to the point where he told me the goats were my thing just do what I want. That was totally unhelpful to my over thinking mind.) Finally I sent an email asking for a few more details. And then we went and looked at them. 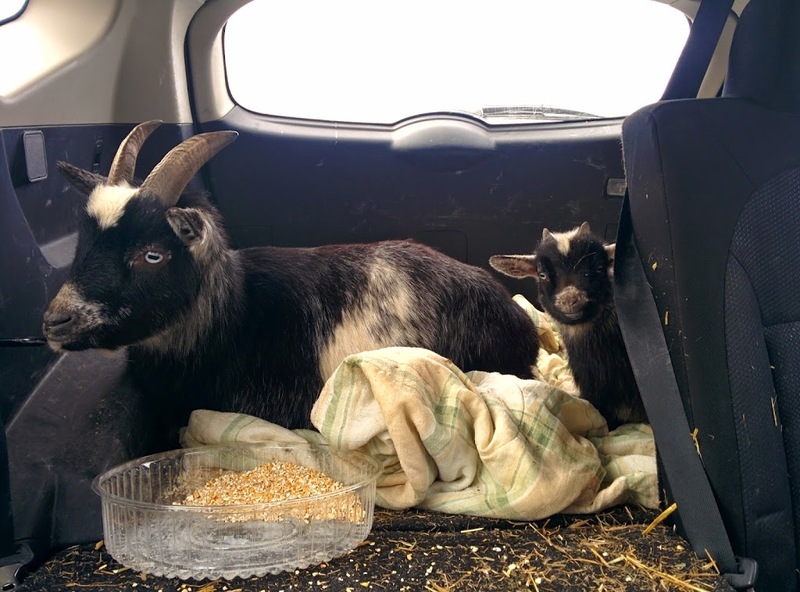 And then they rode home in the back of our Rogue. So here they are. We have named them Jackson and Oliver (and only after we named them that did we realized those were Hannah Montana characters. Meh, such is life). Jackson is a wethered goat. He is going to be 2 in February. Oliver is a 10 week old intact buck. So why did we take the plunge? They are brothers who already knew each other. One was a wether one was a buck. Exactly what we wanted. They both carry the blue eye gene. Oliver will pass that on to his kids. Their mother’s udder was well attached with a great teat size. They were within our budget, and a reasonable driving distance. They were well handled by children meaning they were calm and friendly. The family we bought them off of loved them very much, and was only selling to downsize their herd. They were heartbroken to see them go. We talked via email for a few days after I brought the boys home and I sent several updates on how they were doing. A well loved goat is a well looked after goat. Only time will tell if this was the right decision or not. We tend to just dive in and learn on the job, so if this was a major mistake then I’ll be sure to tell you all about it! They settled in beautifully, nothing like when we brought our two girls home. As long as they knew where the food was they were fine. Must just be a guy thing. Jackson is very laid back and friendly. Oliver is coming along nicely. Due to being moved to a new herd he has attached himself to Jackson, so we are working on getting him socialized with us and leash trained. So far they have been an absolute delight to have on the homestead. Lets hope that continues!